Ah the living room, it’s the room where every family member hangs out and the best place for entertaining guests. For most of us, anyway. Living in a small apartment means working your way around a teeny tiny living room. 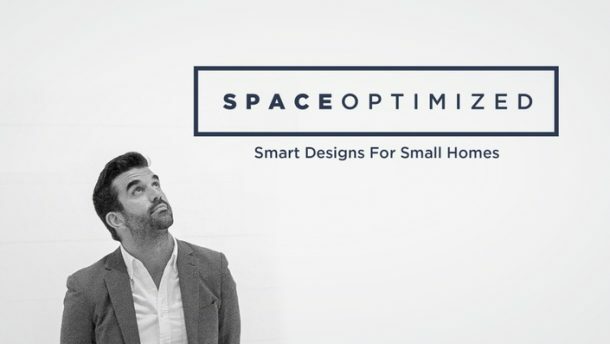 If the tight squeeze isn’t working out for you, listen up: you can tweak your small apartment design to make a tiny living room look positively palatial. It’s all about perfecting the little details to give the illusion of expansive space. 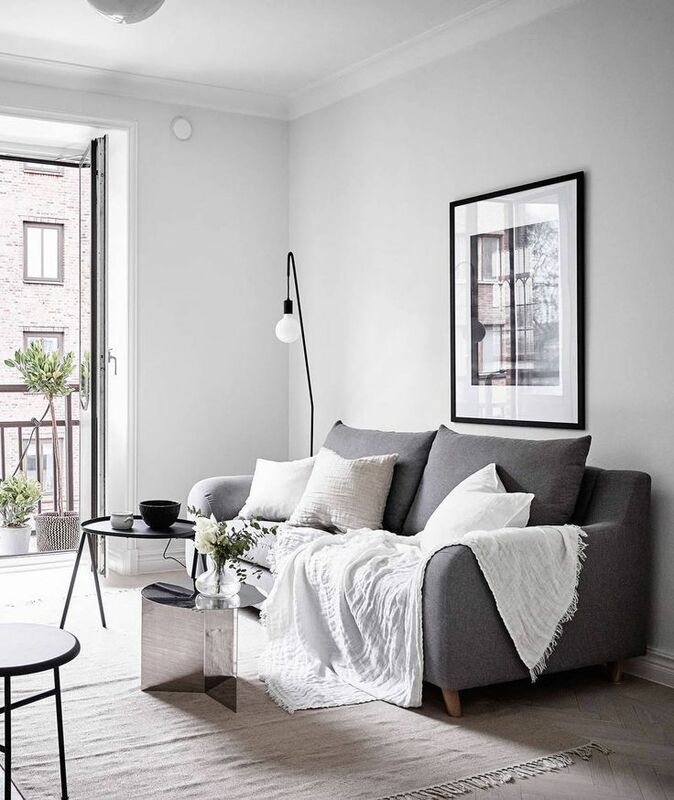 If say, you’re never been comfortable hanging out in the living room because of the limited space, much more entertain guests, try these small apartment design ideas to open up the living room! One of the easiest ways to make any room appear larger is to maximize the natural light. 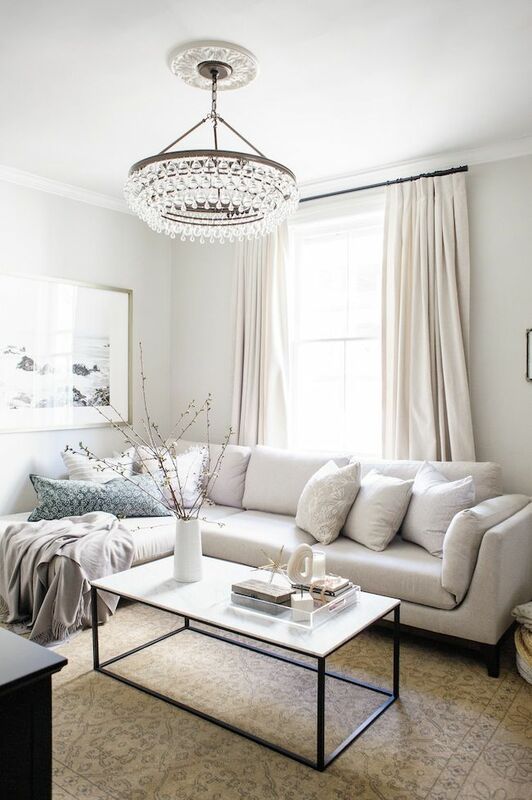 If your living room is set up near the windows, dress the space with light or neutral curtains. Give the interior design a cohesive look by coordinating the color of the curtains with the walls or furnishings. Dark curtains add drama to the interiors but it can make the room appear smaller. Beige, tan, or blush curtains give the illusion of space, making a tiny apartment look larger than it really is! Also, light-colored curtains brighten the living room, adding vibrancy and airiness to the space. Large pieces of furniture are not designed for compact spaces. The dimensions of the pieces are also something to keep in mind when furniture shopping. It’s not fun to hang out in the living room if you keep bumping into things. An average sofa set will eat up too much space in a small living room, leaving less room to move around. Chunky decors will always be in the way no thanks to the limited floor space. Scale your furniture to fit the size of your home. Always go for compact pieces if you live in a small apartment. For larger pieces of furniture, place them against the wall to make the most out of the open space. 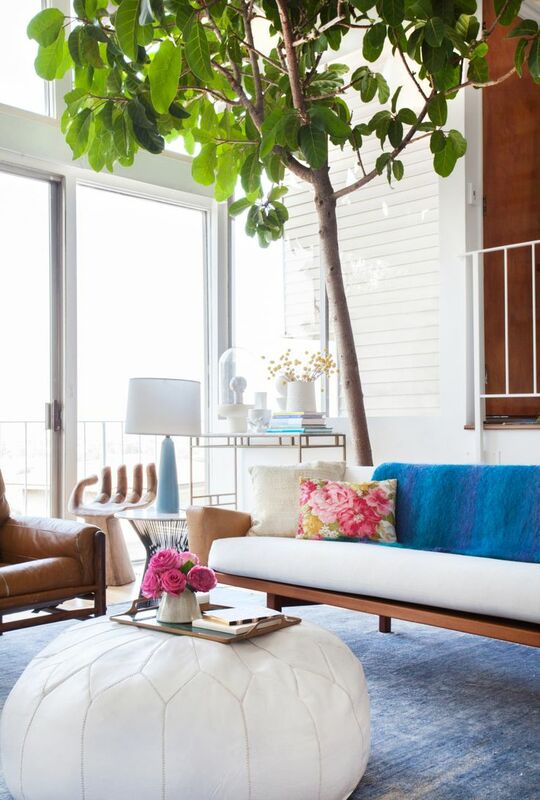 Investing in large rugs in bold colors or eye-catching prints is a great way to open up the tiniest living room! Smaller area rugs are great for highlighting certain areas of a room but they break the floor visually. Larger rugs in standout color or print can make a room look larger. The eye-catching details expand the space visually. Lighter shades, in particular, reflect more light, giving the space a more open feeling than darker-colored carpets. If you’d like to use printed rugs, make sure the graphics are scaled appropriately to the size of the room. 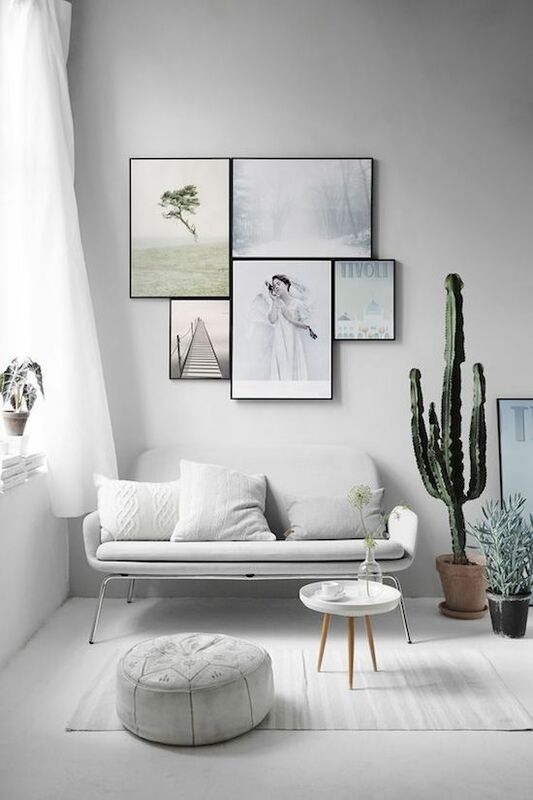 Larger prints are best for larger rooms, small prints look best in small rooms. However, rugs with large prints look great in small rooms as long as the said room isn’t crammed with furnishings. Strategically placed mirrors could also give a sense of openness to a small apartment! The idea here is to use the mirror as a focal point, angling the decor towards the living room to give the illusion of depth. 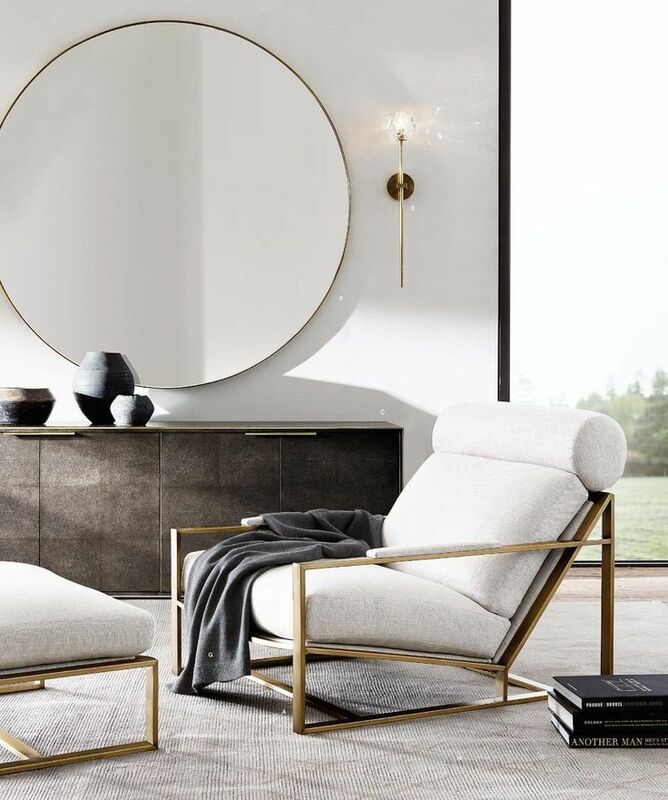 Since mirrors do a great job of reflecting natural and artificial light, they could make a small living room appear larger during the day and night! The best place to set a mirror is near the window so the natural light bounces into the room. You can also set the mirrors against the wall to brighten a small living room. Mirrored cabinets and glass coffee table make a great décor for living rooms with limited space. On the hunt for a coffee table for the living room? Instead of getting a conventional low table for the living room, use a storage ottoman. 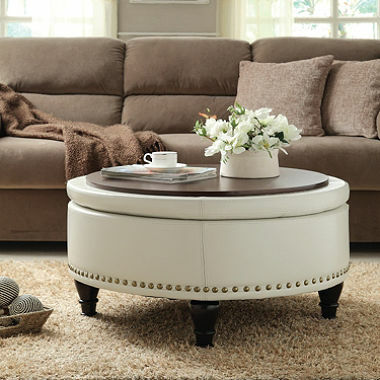 Ottomans are often used as a sub for a traditional coffee table for a reason. They come in a myriad of styles and sizes to choose from. An ottoman is quite versatile, especially one that comes with concealed storage. It works as a coffee table, a footstool, or extra storage space for the living room. You can use it to hold reading materials, flowers, books, etc. Ottomans are affordable too. Basically, anything that a coffee table can do, an ottoman can do better. 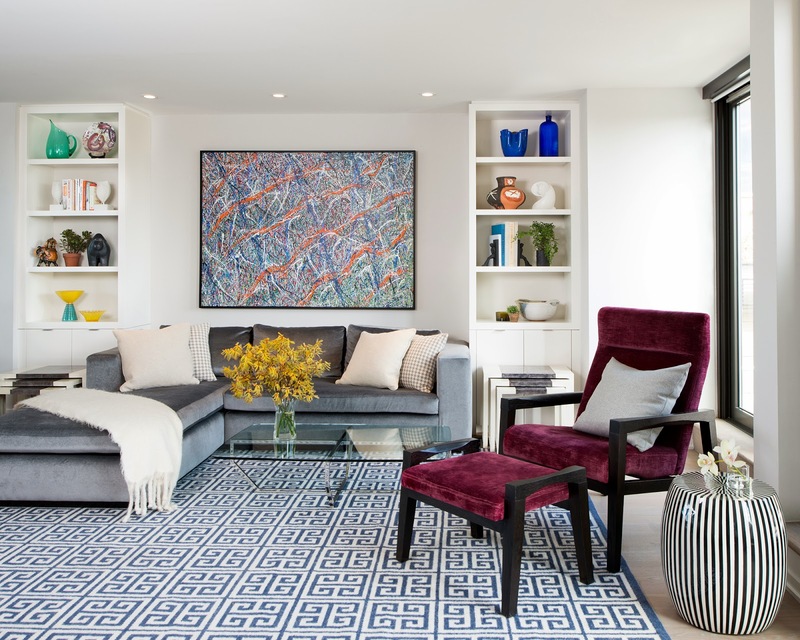 Mixing and matching bold accent colors with eye-catching graphics may be too much for some but when done right, the combination makes a small room seem larger. 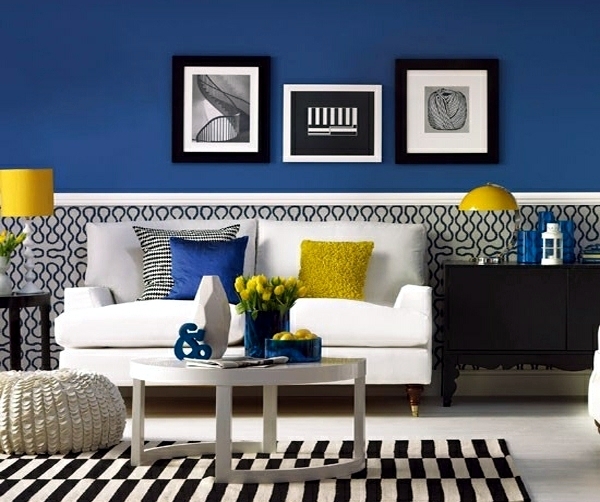 Also, cheerful colors and patterns brighten the space, adding a touch of playfulness to an otherwise plain living room. You can use paint to enlarge a tiny living room. Light colors give the illusion of continuity. 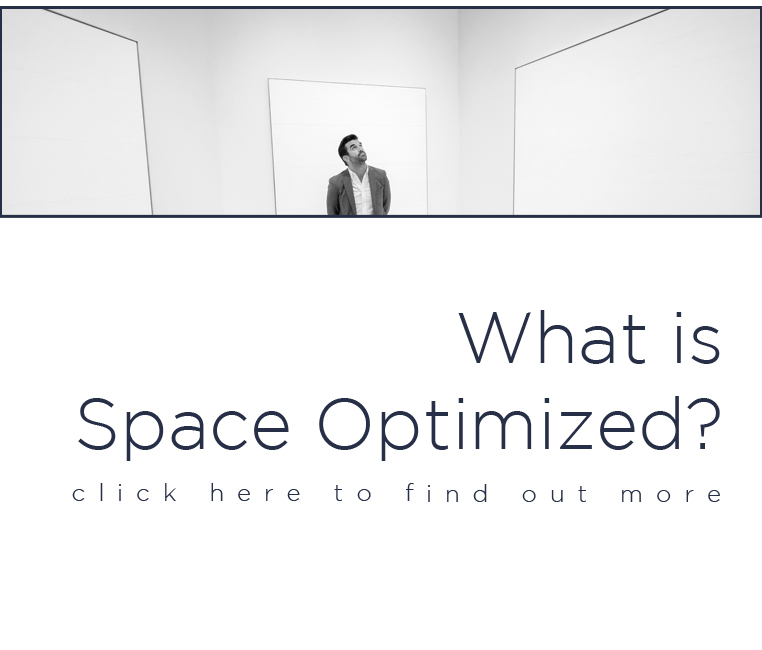 Since the eyes cannot distinguish the boundaries or edges of a space, a room appears larger than it really is. Now, most people think dark shades make a small room look and feel even smaller. But this depends on how you worked with the dark colors. Painting an accent wall in a dark shade makes a room look larger. Using a contrasting shade may highlight the feeling of enclosure. That’s because the edges of the color stand out too much. As long as the trim doesn’t stand out too much, the borders won’t register, making the room look more expansive. Maximizing your furniture arrangement is important if you are dealing with limited space. Focus on functionality, versatility, and portability. Do not dress the space with pieces that you won’t maximize. We highly recommend investing in expandable furniture, foldable tables, stackable chairs, and seating with hidden storage. This way, you can fold and store certain pieces when not in use, freeing up the floor space. One of the easiest ways to open up a space is to curate the furnishings. Cramming too many pieces of furniture in a small living room will only reduce the floor space, making it hard for people to move around the living room. Pieces that pull double duty minimize the need for bulky furnishings without sacrificing functionality. A sofa with hidden storage, ottoman that pull double duty as a coffee table, an accent table that transforms to a dinner table, these pieces may be expensive but are worth the money for people living in a small apartment. The right lighting is a key element in making a tiny room living look larger. Generally, poorly-lit rooms look smaller, colder. A living room that lets natural light in looks more expansive, light, and cheerful. Also, the natural light connects the living room with the outdoors, adding depth and character to the space. 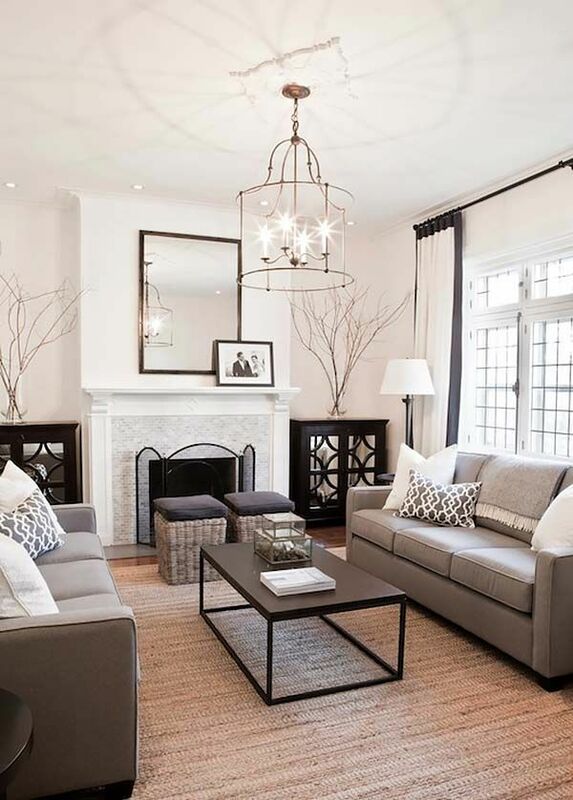 Dressing up the room with strategically-placed light fixtures is also a great way to opening the space. You’ll be amazed at how floor lamps, pendant lamps, and hanging lights transform a small, dreary room.